The dreadnought was the predominant type of battleship in the early 20th century. 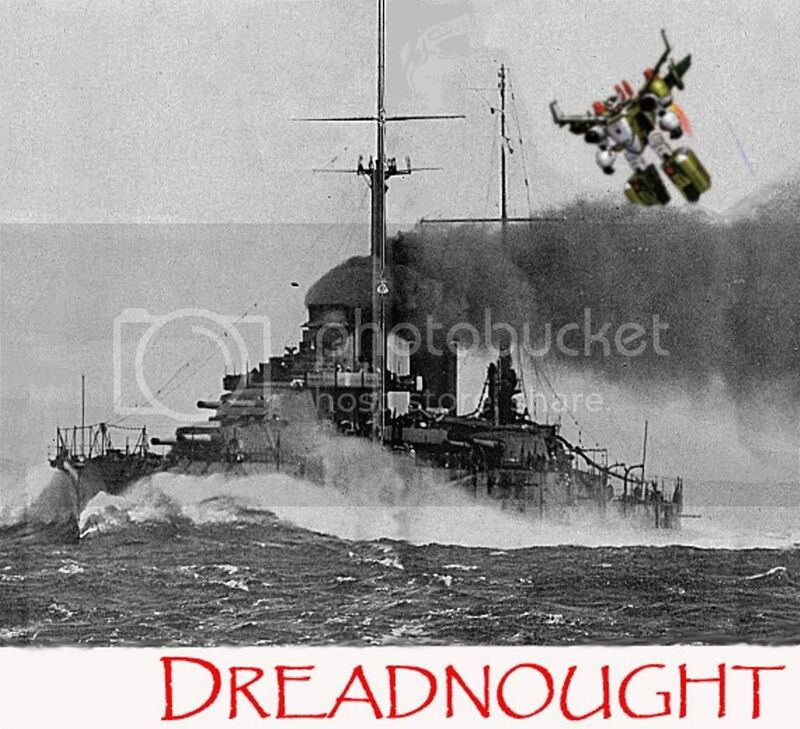 The first of the kind, the Royal Navy's Dreadnought, had such an impact when launched in 1906 that similar subsequent battleships were referred to as "dreadnoughts". Her design had two revolutionary features: an "all-big-gun" armament scheme and steam turbine propulsion. As dreadnoughts became a crucial symbol of national power, the arrival of these new warships renewed the naval arms race, principally between the United Kingdom and Germany but reflected worldwide, including South America (a Brazilian Minas Geraes-class battleship pictured). The concept of an all-big-gun ship had been in development for several years before Dreadnought's construction. The Imperial Japanese Navy had begun work on an all-big-gun battleship in 1904, but finished the ship as a semi-dreadnought; the United States Navy was also building all-big-gun battleships. Technical development continued rapidly through the dreadnought era and within ten years, new battleships outclassed Dreadnought herself. Most of the original dreadnoughts were scrapped after the end of World War I under the terms of the Washington Naval Treaty. Large dreadnought fleets only fought once, at the Battle of Jutland.